Almost 100 years before Rosa Parks refused to give up her bus seat, Sojourner Truth was mistreated by a streetcar conductor. She took him to court—and won! 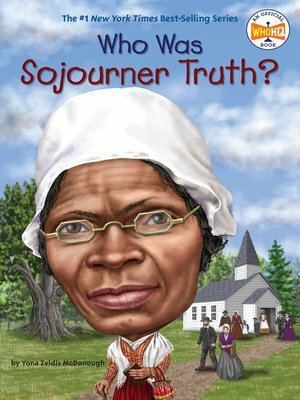 Before she was Sojourner Truth, she was known simply as Belle. Born a slave in New York sometime around 1797, she was later sold and separated from her family. Even after she escaped from slavery, she knew her work was not yet done. She changed her name and traveled, inspiring everyone she met and sharing her story until her death in 1883 at age eighty-six. In this easy-to-read biography, Yona Zeldis McDonough continues to share that remarkable story.